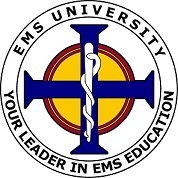 Prerequisites: Must be a currently certified or licensed EMS Professional (Qualifications will be verified upon course completion). Course Location: This course is offered online and includes interactive assignments such as presentations and uploading of various course documents to demonstrate proficiency. *Note: This course is self-paced. Students will be required to electronically present material, upload lesson plans and other assignments within a 30 day time frame.